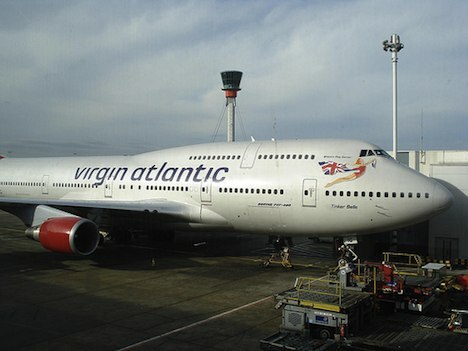 Virgin Atlantic has recently announced the development of a new low-carbon jet fuel for use on its passenger planes. The new fuel will be developed alongside the New Zealand based energy company LanzaTech, and will use waste-gas generated from industrial steel production. The new technology uses Swedish Biofuels technology to capture, ferment, and convert waste gas which would otherwise be burnt and released into the atmosphere as carbon dioxide. The first pilot project is taking place in New Zealand, with a larger demonstration facility slated for development in Shanghai this year. If all goes well, the first commercial operation of the new fuel could take place in China as early as 2014. Once successfully implemented, the low-carbon jet fuel could be rolled out to Virgin Atlantic operations in the UK and the rest of the world. Virgin further said that the new fuel could be applicable to 65% of the world’s steel mills, in addition to other metals processing and chemical industries. India, which is one of the world’s biggest producers of steel, will be one of the first sites for production of the new green jet fuel. Flights between New Delhi and London could be powered by the new fuel in under three years. With all the recent controversy regarding the new EU emissions trading scheme for airlines, I suspect that the new biofuel could go a long way in making the global airlines industry more sustainable. Already, Virgin Atlantic is excited about the prospects of drastically reducing its carbon footprint in the coming years. What are your thoughts on Virgin’s new low carbon jet fuel? Do you think the new fuel could eventually achieve widespread usage in the global airlines industry?